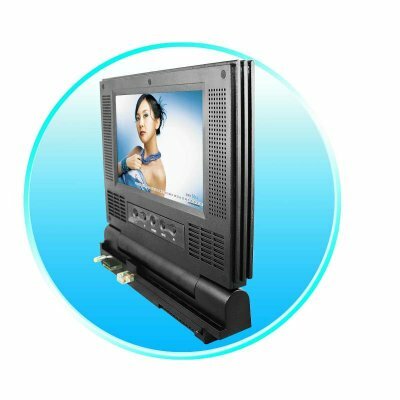 Successfully Added Portable Playstation II Monitor - 7 Inch Slim PS2 TFT Screen to your Shopping Cart. Owners of Playstations, this is the product that you have been waiting for. No longer do you have to leave behind your PS2 on those long road trips, or suffer gaming withdraw symptoms when there are no TV screens to play your PS2 on. Now with the Portable PS2 adjustable Screen, you never have to leave your Playstation II behind again..
Comes with car cigarette power adapter for use in the car. This will power both the PS2 and the Portable PS2 Screen. PS2 can be plugged in as normal, and this will power both the PS2 and the Portable PS2 Screen. Comes with 3.5mm Audio jack for earphones. Note: This product is not compatible with earlier models of the PS2, PS1, PSP, or any other gaming system.